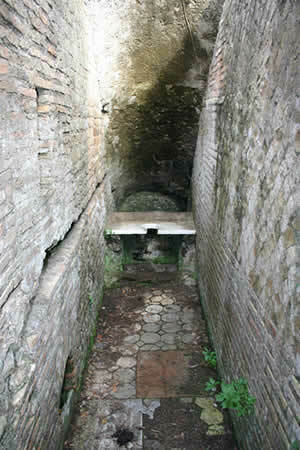 Ancient Roman public latrines in Ostia. A real social gathering centre © Ángel Morillo. Archaeologist. Before the Neolithic period, when we were hunters-harvesters, we lived in a world in which everything was renewable. Drinking water flowed from sources and streams and the settlements only needed a premise: they needed a water source nearby. We made the most of everything the environment had to offer and returned urine and faeces with some bones and peels that integrated into the cycle of nature. In this sense, we were not very different from the other species. Everything changed radically when humans started to be producers and traders. This happened in the Neolithic period, around 8.500 B.C.The production and commercial processes took place in growing and settled population centres: cities, human groups with a high population density that concentrated commerce, political power, handcrafted production and… waste and faeces. 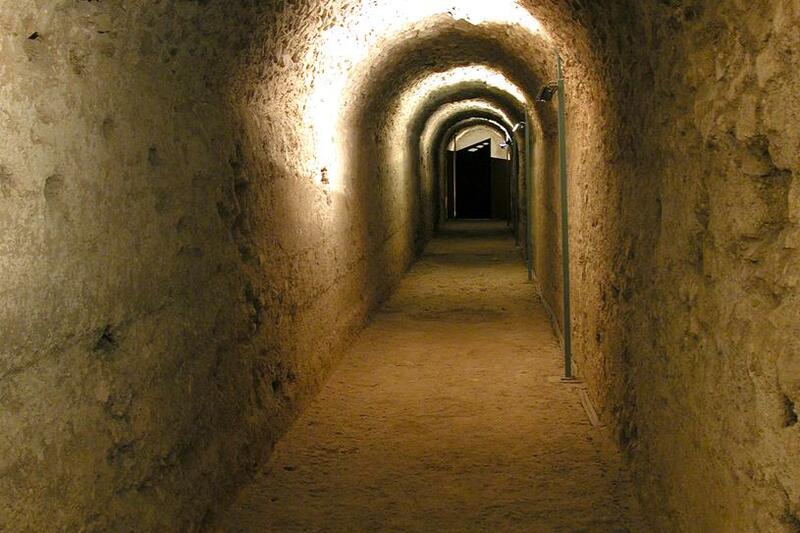 The first sanitation facility was the sump or cesspit that appeared in Babylon around 4000 B.C. A simple digging in the ground to concentrate the excreta that could soon be found in other cities of the empire and in rural areas. The Babylonians had already developed a basic hydraulic system for the transport of water and they applied their knowledge to the conduction of faeces to the sumps by means of the washing down with buckets of water and the first clay pipes.Sewage appeared, a constant companion of civilization until today, as well as the associated technology to coexist with it: sanitation. 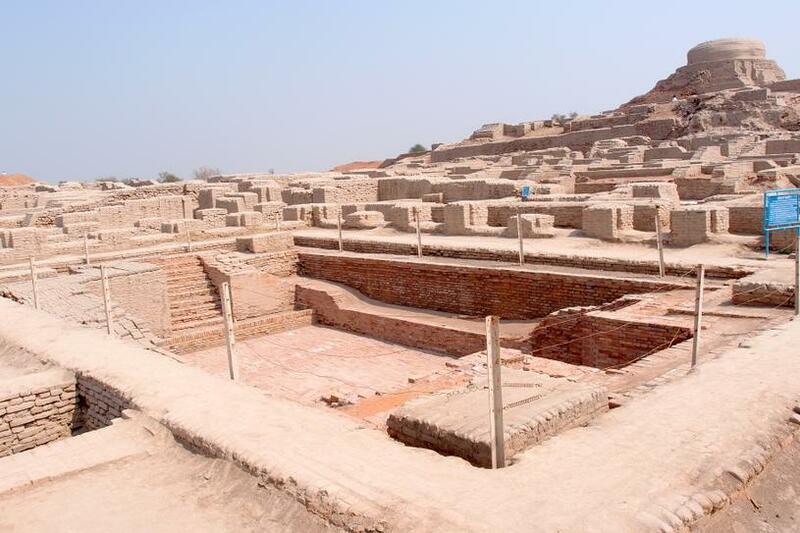 The water supply already existed in cities at that time, but it was not until 3000 B.C., in the city of Mohenjo-Daro, in the Indo valley (in modern-day Pakistan) that we find the first buildings with latrines connected to a sewage system. The citizens washed down their latrines with water and the sewage system collected this waste water and took it to the sump or to the Indo River. The problem had grown and became more complex and we started polluting the water flows systematically. The first use of waste water for agricultural fertilization can be found in ancient Greece, due to the lack of wide rivers. In some cities the sewage system took the waste water to the outskirts of the city towards a dumping site. From here it was conducted to the crop fields by means of a piping system. was recycled for cleaning © Ángel Morillo. Archaeologist. The concept of hygiene developed during the Roman Empire and regulations were put in place to separate waste water by means of a sewage system in the streets. The latrine evolved as well and a seated one became widespread, replacing the previous system, where defecation took place in a squatting position. However, the population continued throwing the excreta onto the street until 100 B.C., when a decree obliged to connect all households to the sewage system, which experienced an outstanding evolution. Another step forward took place at that time as well: the separation of what we now call grey water from sewage. The first one, waste water from baths and thermal baths, was used to wash down public latrines, which became a social gathering point: many Romans chatted animatedly while they relieved themselves. At that time the concept of hygiene was still far from the concept of disinfection. Waste water was avoided mainly due to the unpleasant odour, as there was no awareness of its insalubrity and it was discharged into the River Tiber. Roman sewer. Museo del Foro de Caesaragusta (Museum of the Forum of Caesaraugusta). Zaragoza. © Ángel Morillo. Archaeologist. In this video, the archaeologist Angel Morillo explains that the Roman sanitation system was noted for its adaptability and its durability and some sewers have been in use until the 19th century. Interview carried out on the occasion of the debate Sanitation: the engine of progress, held at the Roca Madrid Gallery to commemorate World Toilet Day 2016. The Roman advances in sanitation were forgotten during the Middle Ages. Only a few cities, like Paris, preserved some structures of the Roman sewage system which were soon absorbed by the urban sprawl. Walled cities installed cesspits as their only sanitation structure and they were soon saturated. The population started throwing the excreta onto the streets or outside the city walls. Rats thrived among excreta and epidemics of cholera and plague broke out, killing 25% of the European medieval population. But no advances were made in sanitation. Cities were putrid and the maximum hygiene level was reached in rural areas, where peasants buried their faeces in a hole. In this dark time in Europe, only the Arab cities in the Iberian Peninsula established sanitation rules with the objective of separating three types of water: rain water, which was essential for life; grey water, which originated from domestic activities, and waste water. The Arab culture, born in a difficult climate, valued rain water as if it was a divine endowment and it was carefully conducted to the cisterns for its conservation and subsequent use. Domestic grey water was removed from the patios of the houses through underground drains or pipes on the surface, while waste water had to have an independent pipe towards the cesspits where it merged with the grey water. The revolution of arts and science during the Renaissance period did not go hand in hand with the advances in sanitation, which came to a halt while cities kept growing. The filth and odour in nearly all European cities during the seventeenth century was unbearable.Open air defecation was common in many neighbourhoods and cesspits were saturated; meanwhile, citizens continued throwing their excreta onto the streets where sewers, which were open ditches, partially discharged them into the rivers. The progress made in hydraulics at that time was applied to the collection and distribution of water, but it did not reach sanitation. Paris was the great paradox of that time: while the city reached the highest levels of filth in its history in the mid-seventeenth century, the most beautiful fountains, ponds and canals were created for Louis XIV at the gardens of the palace of Versailles. The situation in London was very similar to the one in Paris. Although the English capital had started the Renaissance period with severe hygienic rules on the cleaning of drains implemented by Henry VIII, the city stank and many cesspits oozed in different neighbourhoods. The precursor to modern toilets appeared in the well-off homes of the capital: an invention by John Harringtonthat used water from a tank to wash down the latrine and take the waste to the cesspit. But its objective was to eliminate the unpleasant odour of urinals in rooms; the close relationship between filth and diseases was not clear until the mid-nineteenth century. Print from 1887 that shows the danger of the filtering of waste water into the drinking water wells due to the unsealed joints of the pipes. The situation in London became unbearable by 1830.The tremendous stench that emanated from the city (the famous Great Stink) was joined by various cholera epidemics with a very high death toll. During one of them, in 1847, an English doctor, John Snow,who had devoted his life to the study of epidemics, reached the conclusion that cholera was caused by drinking water that had been contaminated with waste water. He proved his theory when the epidemics ceased in those areas where pumps had been closed. A few years later, the research carried out by Louis Pasteur provided the scientific confirmation to Snow´s intuition: the microorganisms present in waste water caused infectious diseases such as cholera or typhoid fever. As a result of this knowledge, legislation was changed. From the nineteenth century onwards, the laws in different countries put a limit to the construction of cesspits, which were restricted to areas with no sewers and transformed into septic tanks, which were much safer. In this video, Fernando Espejo,a civil engineer, gives his opinion on the importance of considering the control of sanitation for an adequate progress. The reason why the first sewage systems were not installed until the nineteenth century and the existing relationship between the mortality rate and the lack of sanitation. Interview carried out during the debate Sanitation: the engine of progress, to commemorate World Toilet Day 2016, at the Roca Madrid Gallery. Another crisis changed the situation of sanitation radically: the great fire in Hamburg, which destroyed one quarter of the city in 1842. The reconstruction was made with a new sewage system that, with a single drainage circuit of waste water, used sea water for its weekly cleaning and was aired out through the drains of each of the connected buildings. 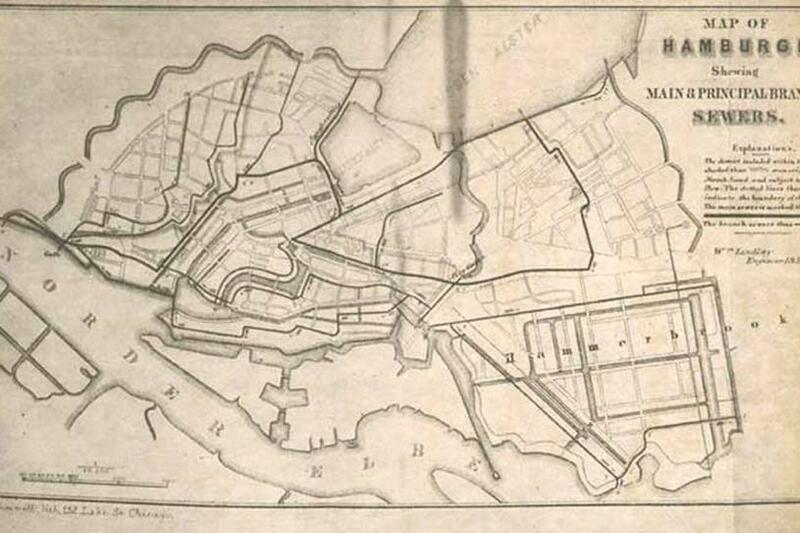 The system was financed by local businessmen and soon inspired all other major European and U.S. cities. Outline of the main sewage system, Hamburg, Germany, 1857. The advances in microbiology started to be used to treat waste water at the end of the nineteenth century and in 1914 the engineersEdward ArdenandWilliam T. Lockett, discovered the active sludge, one of the biological waste water treatment systems we still use in the existing treatment plants. A great international response against the pollution of water, both industrial and faecal, started in the developed world in the 70s. However, nowadays 90% of the discharged waste water in developing countries has not been treated.Due to this, according to the WHO, 1.8 million children under 5 die every year, one every 20 seconds. Westill have not won a battle that started more than 10.000 years ago.